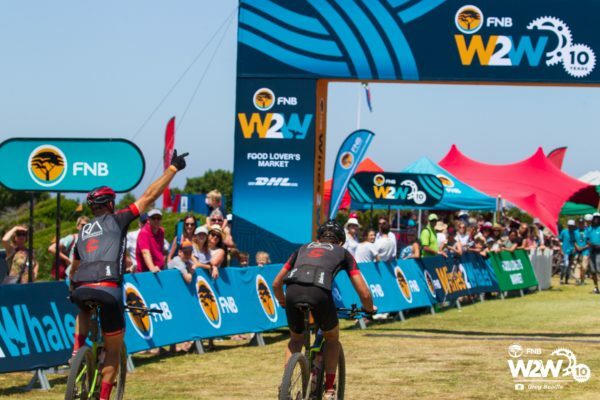 To celebrate the tenth anniversary of FNB Wines2Whales the race finished in Hermanus in 2018. While The Marine Hotel added more than a touch of glamour to the final day’s proceedings the relaxed – small town – atmosphere of Onrus was calling the race home. The 2019 Chardonnay, Pinotage and Shiraz events will heed the call and return to the laidback beachfront village. The Marine Hotel was an undeniably beautiful finishing venue. 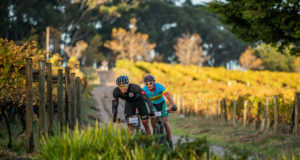 The cliff-top setting provided stunning photos and the opportunity for riders to indulge themselves, post-race, in one of Hermanus town centre’s many fantastic restaurants. Onrus – with its sprawling campsite, dotted with milkwoods, and pristine white sand beach – is similarly keeping with the FNB Wines2Whales gees. 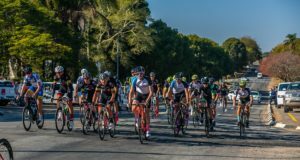 A gees which riders can expect to be amplified as the organisers pull together a world class set-up. Food trucks, chill zones, ample shade and direct access to the tidal pool will ensure riders and their families can relax at the finish line and soak up every last second of the event’s famous vibe. Returning to Onrus also means a great riding experience in the final ten kilometres of the third stage. Riders will swoop down the lowest sections of the Hemel en Aarde mountain bike trails with an seaside view run-in to Onrus. This jaunt is a real treat along the Onrus Beach on the PERI boardwalks, which provide an easy path across the white sand and take riders to the every edge of the Indian Ocean to ensure a truly “to whales” feeling. The iconic photos of riders making their way across the beach, with the azure waters in the background, will be back by popular demand this year. The scene is much a part of the W2W’s image in popular mountain biking culture as Gantouw Pass and Oak Valley’s exceptional singletracks. Oak Valley and Paul Cluver’s singletracks meanwhile will be undergoing a fire-enforced facelift. Two weeks after the Elgin Fire the damage has been assessed and FNB Wines2Whales will be spearheading the rebuilding programme. The supplies have been ordered to being the construction of new bridges, to replace those which were damaged in the blaze, and the Cape Trails team are standing by to aid the farm’s trail builders. As the 2019 entry opening dates approach the pieces for a spectacular FNB Wines2Whales are coming together. The eleventh edition will be one which mountain bikers will not want to miss. 2018 participants will have the first opportunity to secure entries, when early bird entries open on Wednesday the 13th of February at 09h00. General entries open 24 hours later on Valentine’s Day. For more information on the 2019 FNB Wines2Whales please visit www.wines2whales.com.